Over the past months the Mellow Drive has managed to build up quite a reputation among board riders and the technical community. Today we are proud to announce that he also managed to win over the hearts of some of the best designers in the world. The Mellow Drive has been awarded with the prestigious Red Dot Product Design Award 2017 in the category sports equipment. Competing against over 5,500 submissions from 54 countries. Around 40 independent designers, design professors and specialist journalists tested, discussed and judged each individual product for their degree of innovation, ergonomics, functionality, quality as well as ecological aspects. With a history of 60 years the Red Dot Award is an internationally well-established institution in the design world and a seal of quality for every product that gets honoured. For us on the other hand it’s another huge milestone and an incredible motivation. 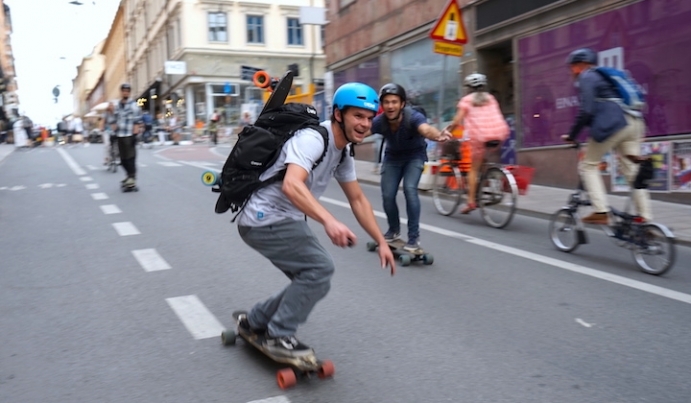 We always wanted to bring the best electric ride to the streets. And now we have the official approval that it was worth spending all this effort, time and attention to detail to create a product with an outstanding user experience. We can’t wait to celebrate this big time on the 3rd of July when the trophies for 2017 will be officially handed over in the Red Dot gala ceremony in Essen. If you can’t join us on this event you still have the chance to check out all winners for the following year in one of the world’s largest exhibition of contemporary design in the Red Dot Design Museum Essen.